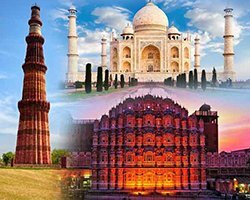 India is a vast country and many areas are covered with dense forests and have bundle of exciting wildlife sanctuaries and national parks throughout its length and breadth. For the wildlife lovers, India is the best place to explore the wildlife sanctuaries that has 500+ wildlife sanctuaries. 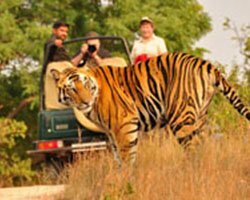 Hence, we are here with exciting wildlife tour package in India to make your wildlife tour more exciting and thrilling. If you are the wildlife lover then you can book our wildlife tour packages to see some of the most exotic and rare species of animals and birds in India. The thick forest of India host some of the rare wildlife species in the world. A large variety of animals and birds are found in India which makes India's wildlife rich and diverse that more than 100 National Parks, 18 bio- reserves and more than 500 wildlife sanctuaries. These are the homes of different species of animals like Bengal-Tiger, Lions, Deer, Asian Elephant, Fox, Black Bears, leopard and many other endangered animals like One-Horned Rhino, Nilgiri Tahr, Asiatic Lions, Black Buck, etc. There are different destinations in India that will let you experience these wildlife. 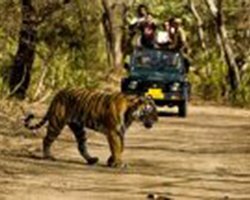 Rover Holidays is offering best and attractive wildlife tour packages to explore the dense forest, wildlife and bird-life in India. 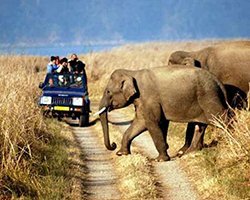 Jim Corbett, Ranthambore, Kaziranga, Bandhavgarh and Kanha National Parks are some of the popular National Parks in India. You can book for any of these or other popular wildlife sanctuaries and National Parks in India. Simply go through our wildlife tour packages and choose that is suitable to your budget and holiday plans. The tour packages offered by us are customized in every possible way to cater your needs to make your wildlife vacation convenient in every aspect. 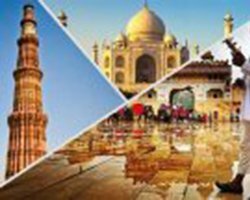 Whether a luxurious resort, budget hotels or guest house in the national parks or wildlife sanctuaries in India, we assure you to provide best accommodation for a memorable trip in India. 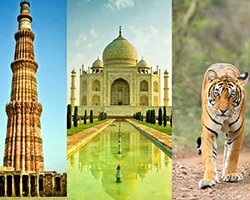 You only need to do is to select one of the best wildlife tour packages provided by us in exciting prices and enjoy your wildlife vacation in India. 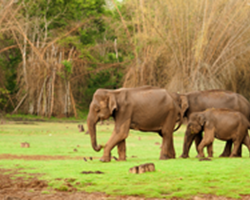 We assure you to make your wildlife tour in India an unforgettable trip. So, if you are planning your wildlife vacation in India whether with your friend group or family members, Rover Holidays will help you from the beginning to the end of your journey to make your trip memorable.